What happens when the never-ending battle for truth and justice ends? 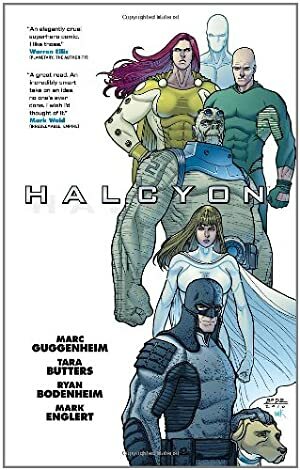 Halcyon is a deconstructionist 2010 Image Comics super-hero series. It is set in an original war where crime and violent conflict all but vanish within months, making heroes largely pointless. The character Triumph has almost nothing about her in the story, except her depression at being made useless, and then her suicide. Still, she is well written and deserves a memoriam. Triumph has extraordinary strength and resistance to damage. She otherwise doesn’t display other powers or abilities. She makes special note of the fact that she can NOT fly. Nothing about Triumph’s history is revealed. 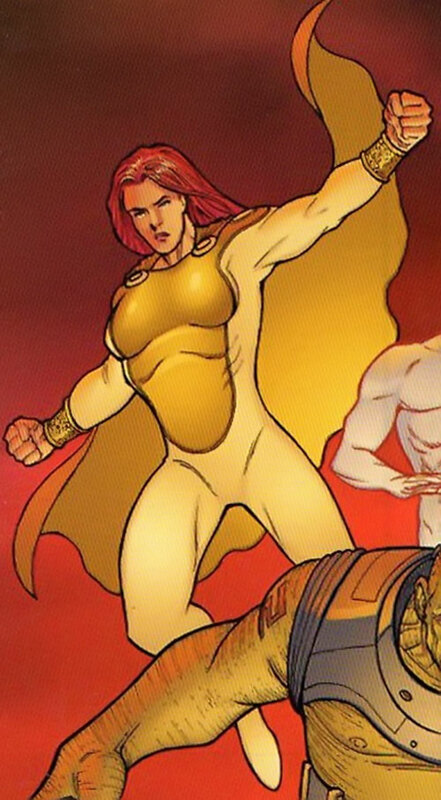 Triumph apparently finds all of her self-worth in her role as a super-heroine. Once that is taken away from her, she becomes depressed and suicidal. Triumph’s role seems to be to highlight the general feeling of loss of purpose many of the heroes and villains, as well as world armies, feel now that there is no need for them. None demonstrated. She may have APs in Martial Artist as she seems to be the fighter type. Triumph develops a Serious Psychological Instability (Severe Depression) that results in her suicide. Mock-real (Standard comic book default). There wasn’t much to work with for Triumph. As mentioned above, from the way she is drawn, and the apparent surprise of her teammate at her demise, I assumed she was a low level Power House type. There was much discussion in the forums about the maximum Body she could have and still die from a fall from the Empire State Building (thanks again to all who helped). I gave her low Mental stats to reflect that she could not handle losing her purpose as a super-heroine. Also, she mentions having a comic book series made about her, so she may have some popularity and receive some income from image rights and endorsements. Triumph attends team meetings via hologram, and is seen in New York City, so I assume that is her home. Her teammates called her Lauren, but during her autopsy it is noted that her real name is Erika Jobson. 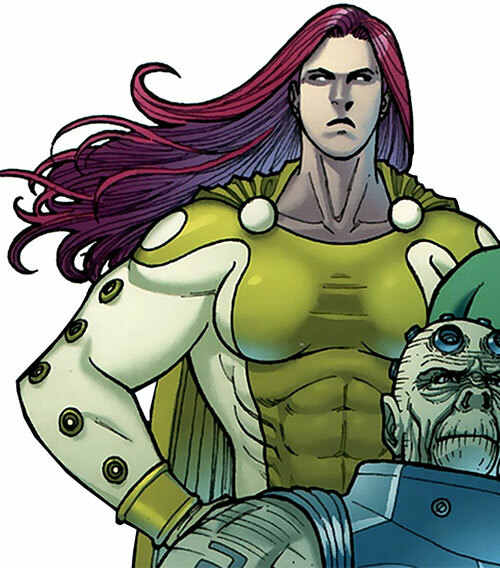 Source of Character: Halcyon comic book, Image Comics. Helper(s): Peter Piispanen, Adam Fuqua, William Chamberlin, and Tim Palmore. Writeup completed on the 19th of May, 2014.